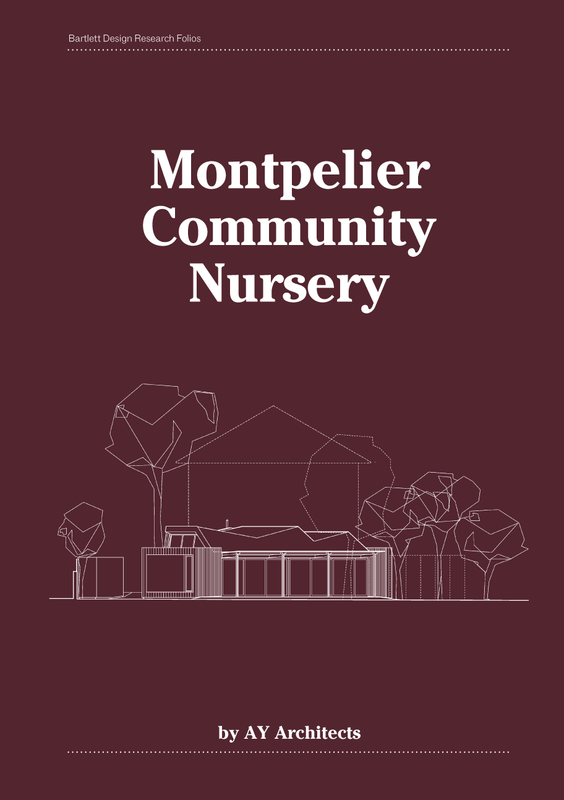 Montpelier Community Nursery is a building project that brings pedagogy, local community, environment and architecture into productive dialogue through engaged and situated design research. The Nursery, in Kentish Town, London, is one of two facilities run by CCN, a voluntary sector registered charity managed by parents. CCN was established over 35 years ago and ran 14 community nurseries. Of these only two nurseries have survived, and both are seriously threatened because of severe funding cuts. Montpelier Community Nursery previously operated from a dilapidated building, originally built in 1983 as a temporary day-care 'shed' with only 15 years' life expectancy. Through design-led conversations, participatory workshops and events, AY Architects were responsible for instigating parents, children, staff and local authorities to combine their efforts to realise the new building. They worked through all stages of the project from initial conception, neighbourhood engagement, authority deliberations and fundraising, to design research production and building completion. Yeoryia Manolopoulou also served as a parent representative on CCN's management committee. The research integrates interdisciplinary knowledge from the fields of ecology, pedagogy and manufacturing into the area of sustainable school design through site-specific design intervention. A situated and research-led mode of architectural practice was developed, paradigmatic of how small architectural practices can play an instrumental role in the enhancement and sustainable upkeep of key buildings in local communities. The new building sought to interrelate learning, building and nature in a harmonious set of relationships, encouraging flexibility, outdoors–indoors flow, and a natural and neutral tone and undifferentiated materiality. Children's creativity and self-direction in learning is of central value in the Montpelier Nursery's philosophy and became an important aspect of the design thinking: children are encouraged to 'dress' the building with their colourful work over time, taking on the role of author/designer. In 2013, Montpelier Community Nursery won the RIBA Stephen Lawrence Prize, an RIBA Regional Award (London) and an RIBA National Award. Based primarily on this project AY Architects was a Small Project Architect of the Year Finalist (2013).